For many years, Aussie Brakes has been the go to servicing station for many residents of the Gold Coast. Our success is based on two things: First, we always ensure that our amazing team consists of only the most experienced and qualified Gold Coast mechanics. Second, we make it our mission to invest time and money in quality equipment and a fully outfitted workshop that is equipped to deal with the oldest and newest cars on the market. As a result, our Gold Coast car servicing reputation is beyond compare. While most of our services are concentrated on offering brakes repair and replacement, we can also assist with the provision of roadworthy certificates, logbook servicing, as well as tyre sales, replacements, and repairs. 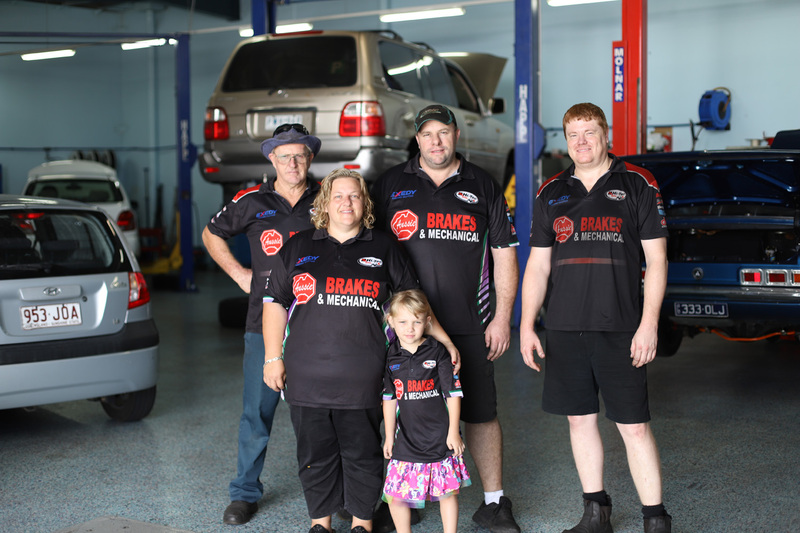 Anyone who’s ever visited the Aussie Brakes’ Burleigh Heads workshop will know that the business is family owned and operated. Whether you pop in for assistance during our standard operating hours (Monday to Friday between 7:30 am and 5:00pm), visit us on Saturdays (by appointment), or drop off your car at night by special arrangement, you’ll be greeted by a member of our family. You’ll find Nigel Oneill (our owner) putting his mechanical skills to work fixing cars, and Kelly (Nigel’s wife and Aussie Brakes owner) greeting you when you enter the workshop. Steve, our long-term resident mechanic puts his attention to detail to good use in the Aussie Brakes workshop, while Les Oneill (POPPY) is our resident Machine Operator, Sales and Delivery Guy. Nigel and Kelly founded Aussie Brakes in 2015 after spending over 21 years in the hydraulics industry. Both of them have always loved cars, and Nigel has spent years racing in speedways, as well as building his own cars and engines – with Kelly at his side, offering her expertise and feedback. It was only natural that they’d start their own business involving their passion. After seeing a gap in the market for the provision of quality vehicle servicing and products that emphasised family values and safety, the two founded Aussie Brakes. Their vision was and still is today, to deliver a car mechanic and brakes repair servicing that prioritises customer service, trustworthiness, reliability, and helping the community. Three generations later, it’s safe to say that they have managed to successfully maintain its current customers, and attract new, long-term ones through their dedication. To experience the Aussie Brakes difference yourself, all you need to do is visit our workshop at 6/12/Ern Harley Drive in Burleigh Heads, Queensland. You can also call us on (07) 5522 0798 to set up an appointment. 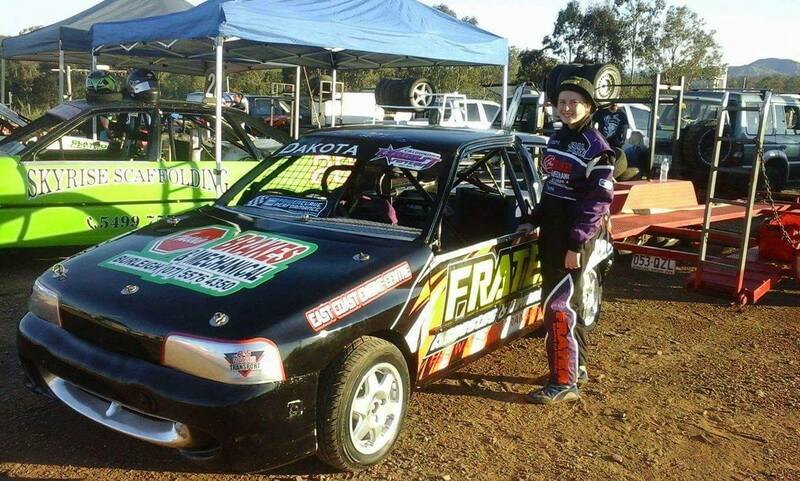 Nigel and Kelly have sponsored local racer Dakota Laverty since 2015, supplying race gear and parts for her car. They decided to help out Dakota after watching her enthusiasm about speedway racing and her great sportsmanship. Dakota started racing in junior sedans at the age of 14 and is a great ambassador for the sport. Aussie Brakes is proud to be a part of their local communities and will continue to offer such sponsorships and support. All you need to do is visit our workshop at 6/12/Ern Harley Drive in Burleigh Heads, Queensland. You can also call us on (07) 5522 0798 to set up an appointment. We look forward to hearing from you and being able to service all of your brakes and mechanical needs.